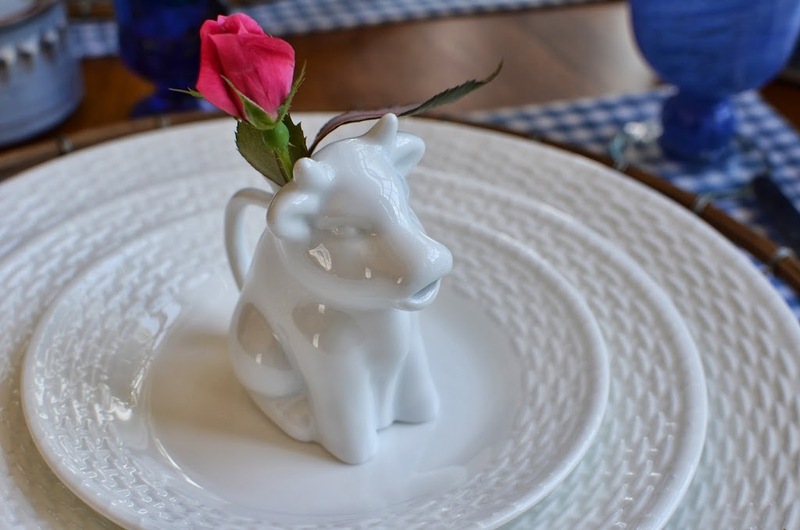 I thought to myself that it would be an easy and quick way to set the table. Well…..I found out that I was wrong! 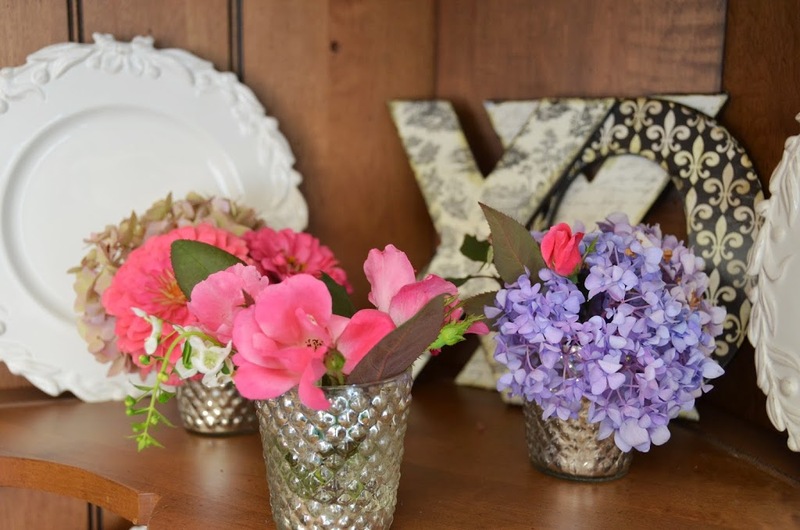 I love adding my colorful dishes and linens and little toys to my tables, and of course flowers or candles, too. So being limited to one color was driving me crazy. Pat’s lemon drop table and Sarah’s brown cow table. Inspiration struck and I wanted to play! I knew immediately which of my white dishes would star. 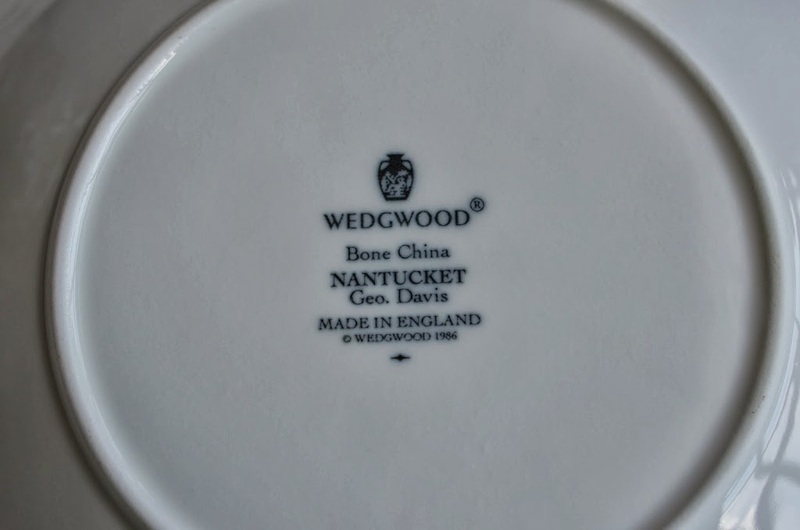 My everyday Wedgwood Nantucket dishes are truly my favorites (and I have lots of dishes!) They have a beautiful finish and feel and go with everything. 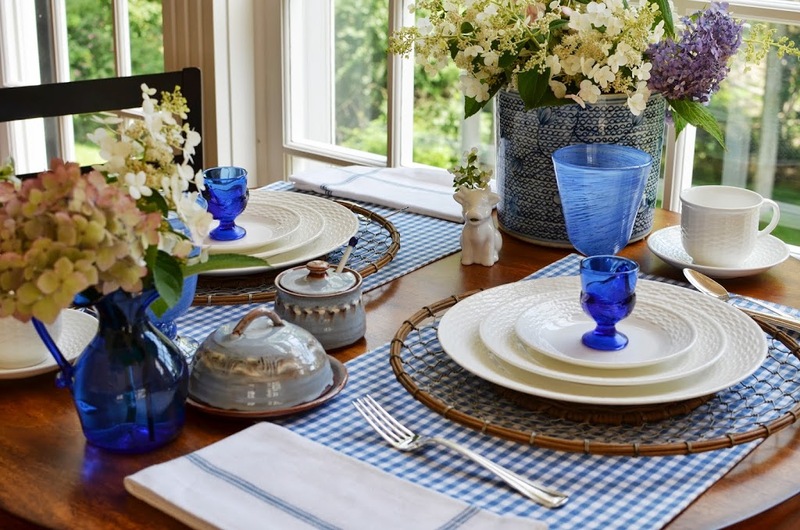 so I thought I would do an English garden table, but as I tried linens I kept coming back to my blue and white checked French Villeroy and Boch placemats. 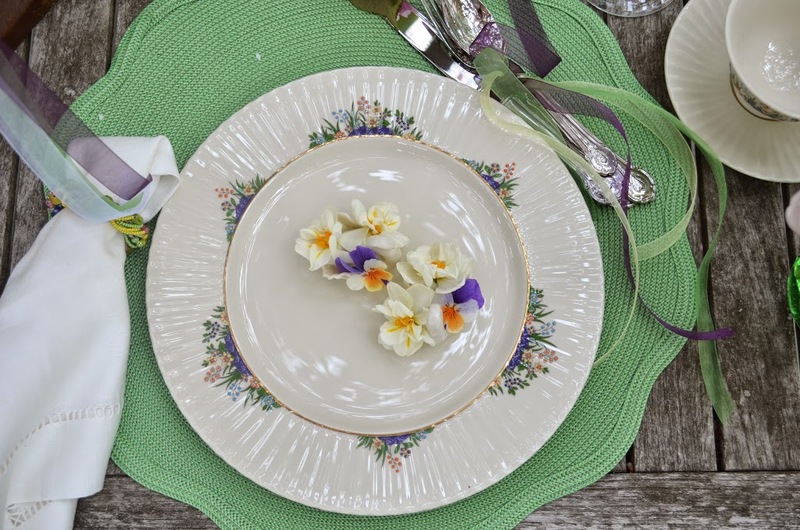 Hmmm…another challenge…could I make the French and English play nicely together on my American table? the French/English/American table that almost was not to be. Long ago (I wore STOCKINGS on the plane!!) Mr. Fun took me to England for my first time. 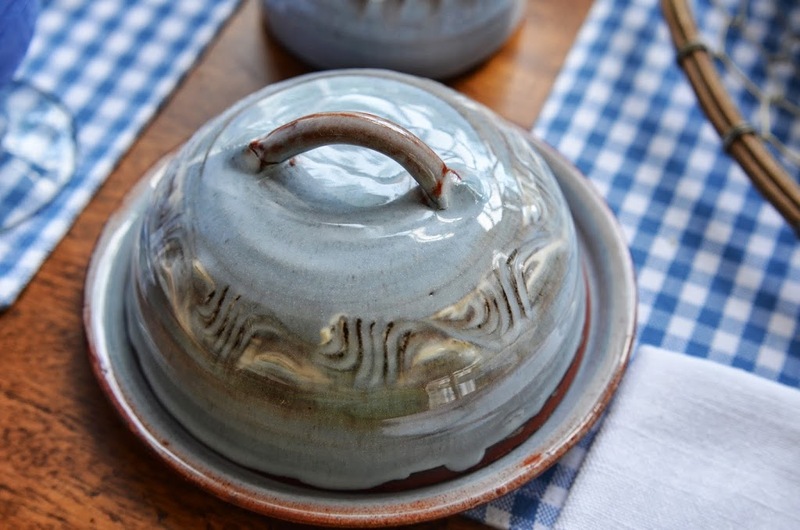 While traveling in the countryside we stayed in the charming village of Chipping Camden in the Cotswolds, where I fell in love with their local blue pottery. and this sugar bowl (filled with honey). so we went looking for a little flower for her hair. and she selected a pretty rose. so we later changed to a tiny sprig of white phlox. 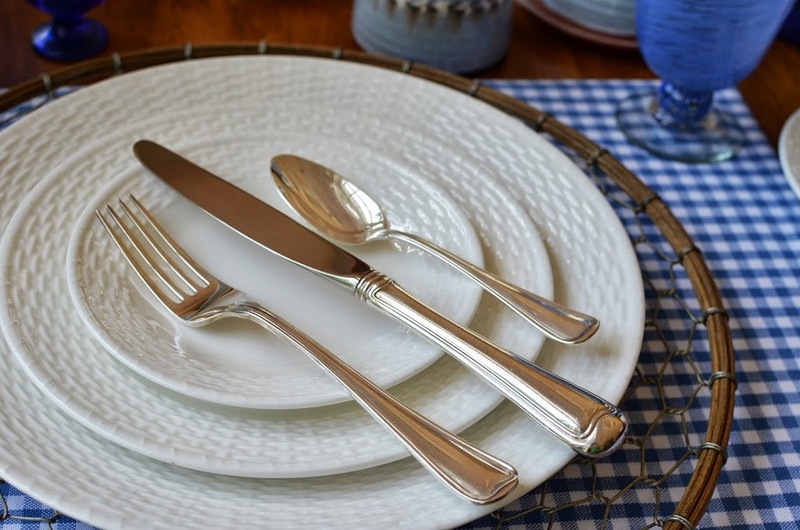 To the English dishes and French linens I added my Gorham sterling. 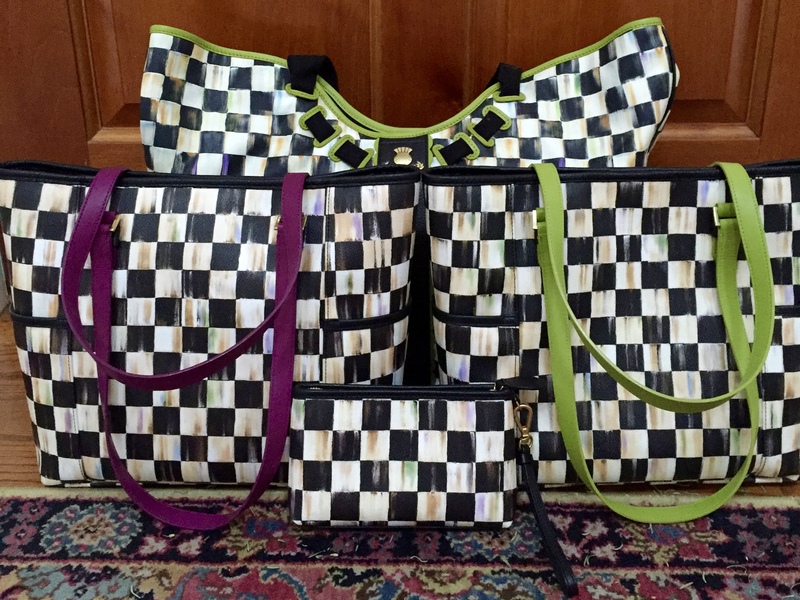 The pattern is “Old French” … but it is made in the USA. so we can only guess their origins. although it is definitely not French! but I found them at the France exhibit at Epcot (and Disney is the epitome of an American vacation destination)! Are we calling them French or American? and is a reproduction of one belonging to Jefferson. Look at the tiny details. Travel note: if you have never been to Jefferson’s home, Monticello, put it on your list right now. Move it up near the top and send me a postcard! Now, I realize these flowers are looking more purple than blue, but they are in fact my blue hydrangeas which usually are the bluest sky blue imaginable! With the crazy rains and then intense heat my bushes are very confused. Luckily I planted more white ones this year. 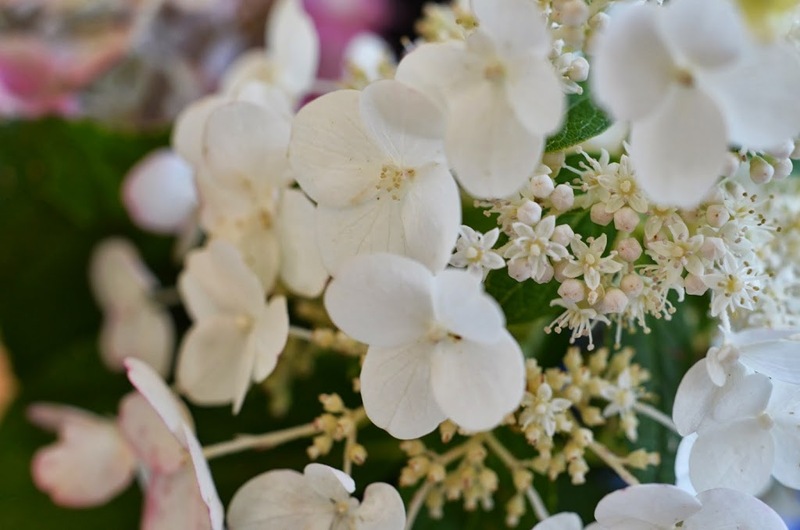 For this challenge I battled the bees — I’m not frightened by them, but let me tell you, these bushes are absolutely covered in bees who all seem to be intoxicated as they lazily move from one blossom to the next, with several bees perched on each flower. And although they seemed absorbed in drinking the sweet nectar, they woke up each time they heard my clippers snip a branch, and swarmed after the invader (me), so it took several trips outside for me to gather these! I think it was worth it, but next time I’ll wait until the buzzing stops and they are all happily tucked into the hives with full tummies. 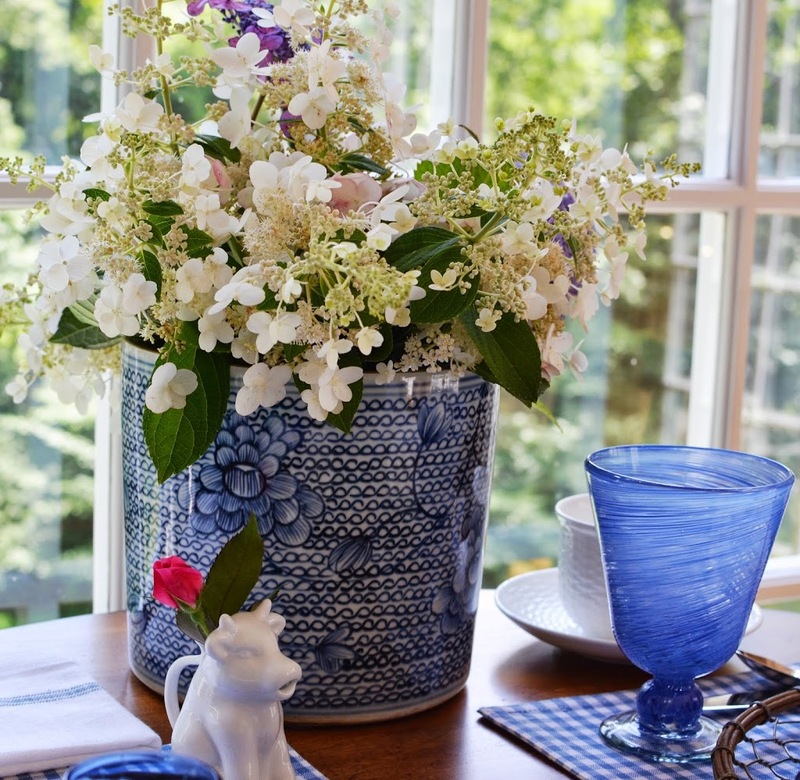 I hope you have enjoyed my blue and white English/French/American table. I’m looking forward to seeing all the wonderful white plus one tables! The Pink Pagoda Blue and White Bash! I love your table and am so happy that you didn’t give up. You have some wonderful touches of blue. I was just in England and one of my favorite parts were the Cotswolds! 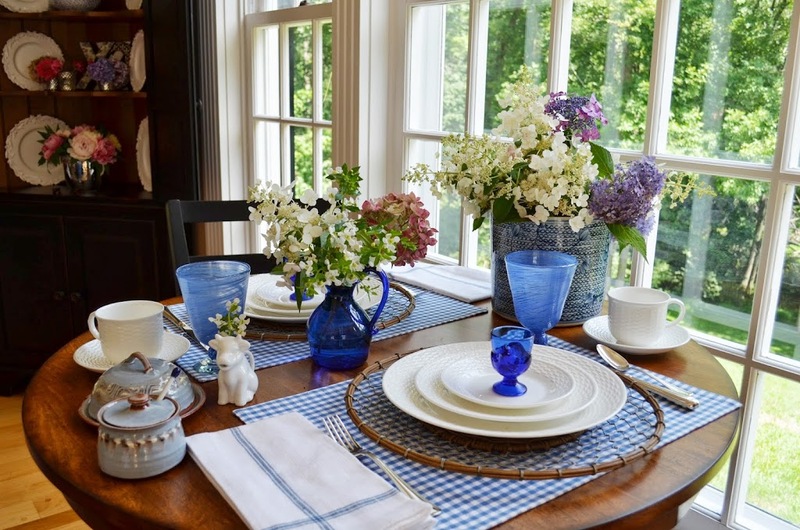 This is a beautiful blue and white table with the lovely Wedgwood Nantucket! This is one of my favorites I use but not in tablescaping that will change after viewing your lovely table. I love the blue accents with the blue and white checks. A summery table and one i would like to personally enjoy. I love those chargers!!!!! I too had trouble, I am all about color, but you have come up with an utterly charming table. Your cobalt blue pieces are stunning! I’m so glad you didn’t give up! Well that’s it. You are obviously a table diplomat. They all got along famously and what a beautiful combination it all is! 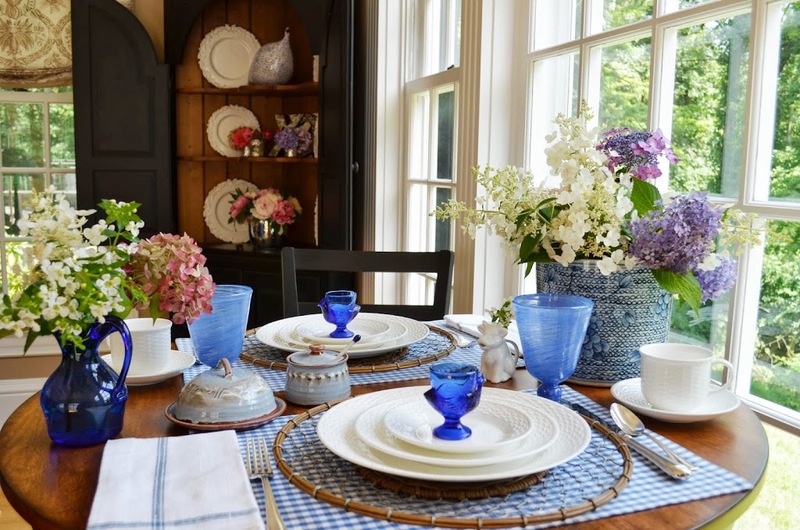 I love cobalt anyway and I think if any color can steal the show from those white dishes, it would be cobalt. 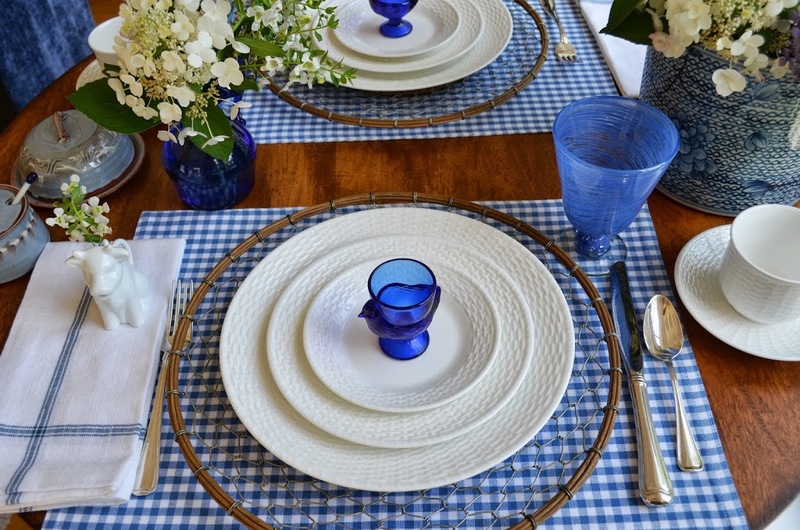 The blue gingham placemats are the perfect touch, too. I love every single bit. Your table is beautiful. I am so happy you decided to do one. 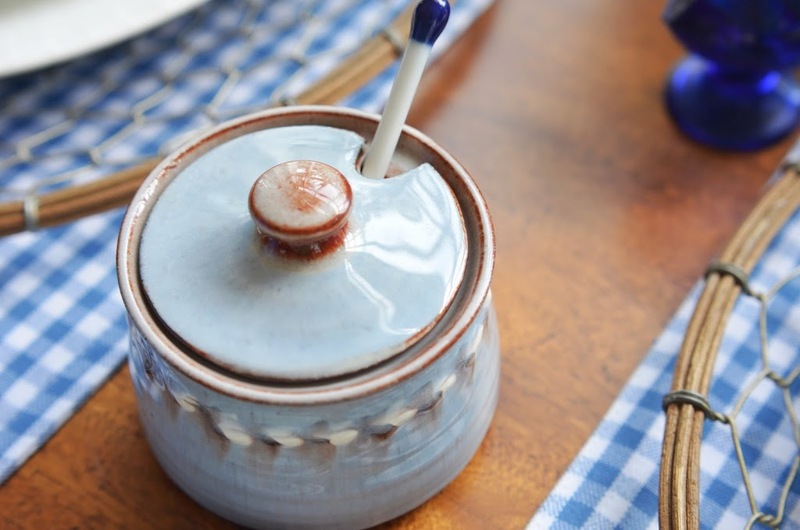 I love the blue pottery and those egg cups…wow! 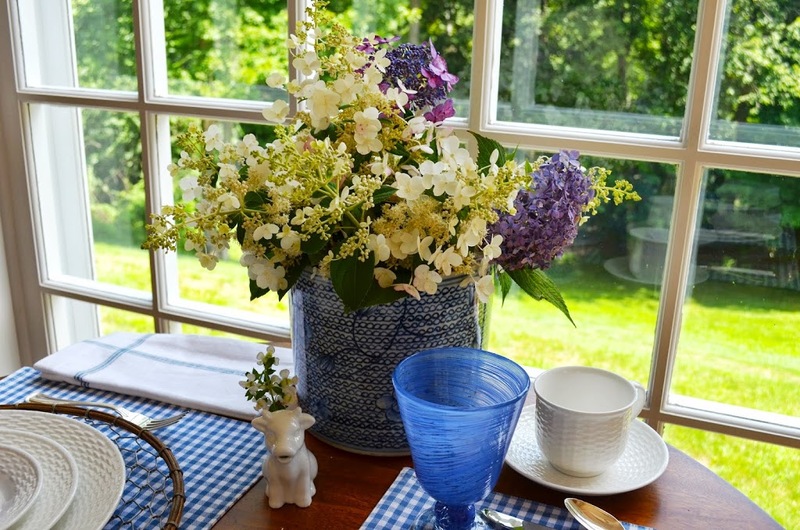 The table is wonderful~I love the blue and white -it is so summery and cheerful! Spectacular tablescape, Linda…your photos positively GLOW with light! 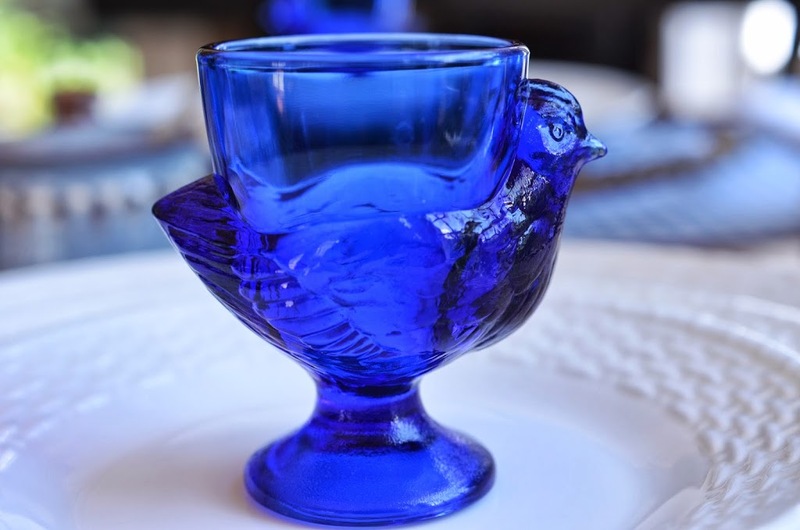 Those little egg cups are so charming & I adore your use of the cobalt blue as an accent color. Well done! Linda, I’m certainly glad you joined in. 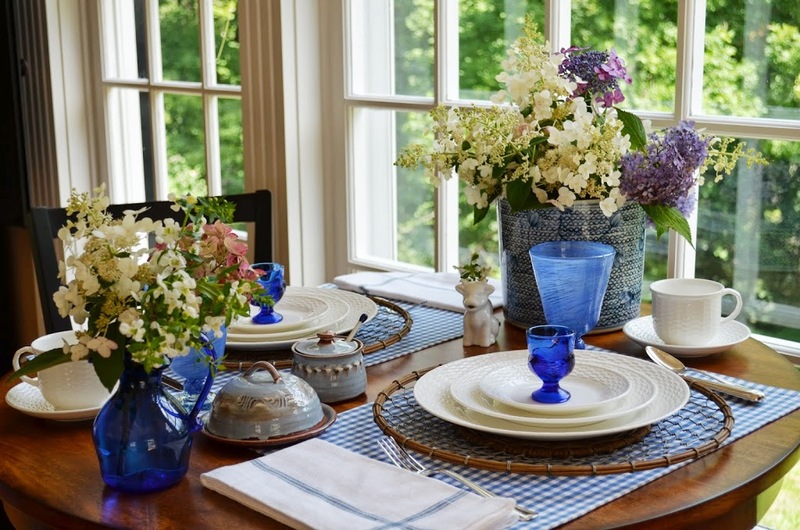 Love this stunning table of blue and white. Seems we share several of the same tabletop items. I have the PB chargers too, and have the sweet egg cups, but in an orange color. Love the new crock you found. It’s a fabulous piece! 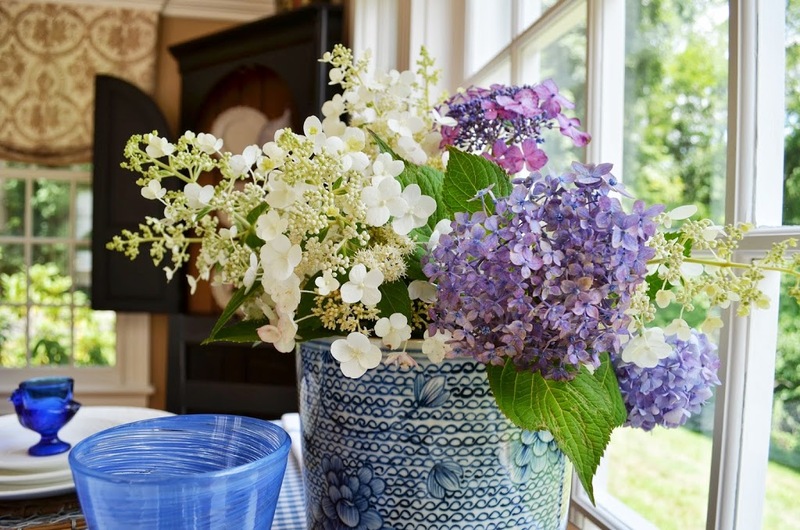 Lucky you for having any blooming hydrangeas, blue, purple, or white. ‘-) Happy to be the inspiration for pulling out your Nantucket Basket. We eat off of it everyday. I never tire of it! Lovely and so rich looking. Those chargers are new to me and really like them. Oh my…gorgeous table, Linda. I love your basketweave plates and all the vibrant cobalt glass. Did I say gorgeous! So fresh and pretty and what a lovely space you have to dine! I am so glad that you decided not to give up. I adore your white and blue! What a pretty table! I really love the blue and white!! Isn’t it fun to bring out those special items you purchase on vacations!! You get to remember all the fun times!! Love your table, Linda! Blue and white is always so fresh and clean. 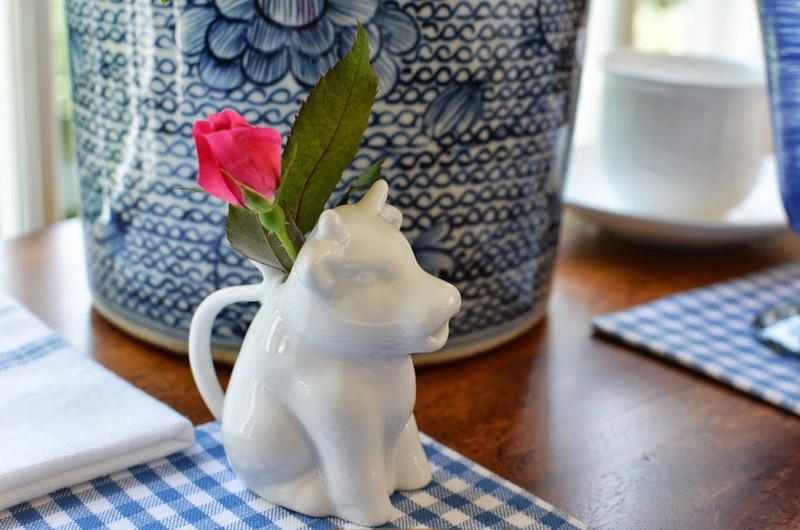 Those egg cups are adorable and your gingham placemats are perfect . You’re so brave to clip around the swarming bees. We visited Monticello 43 years ago!! 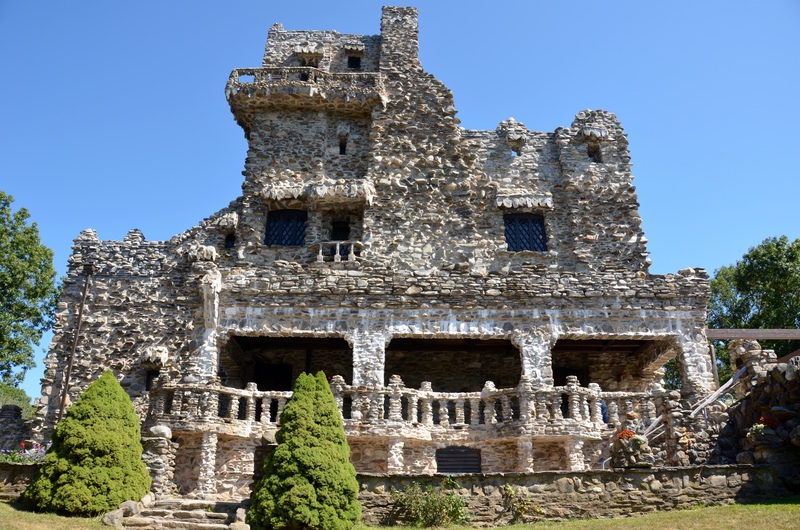 Linda, I am a fellow blue and white lover and I love all things french too! We visited Monticello last fall and it was a treat. The gift shop was one of the best around. I could have spent a lot of money there! We didn’t have much time and gift shops are not my hubbies thing so that helped my pocketbook. 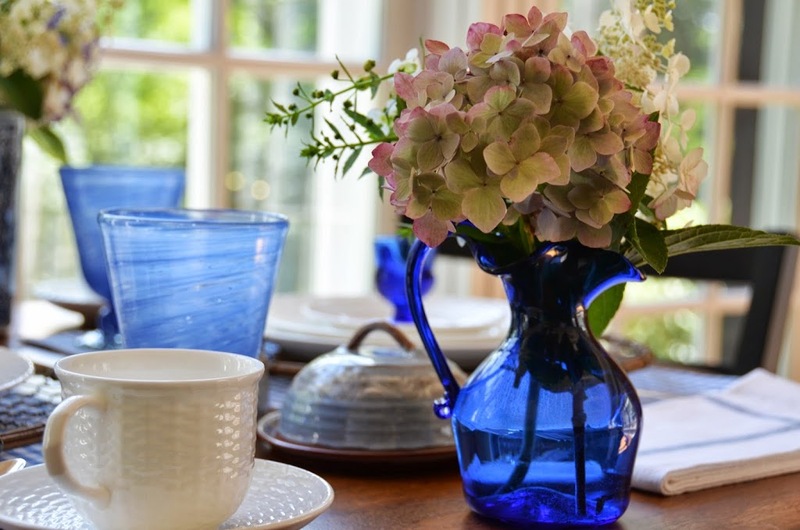 I love your striking cobalt pitcher as well as the darling egg cups. 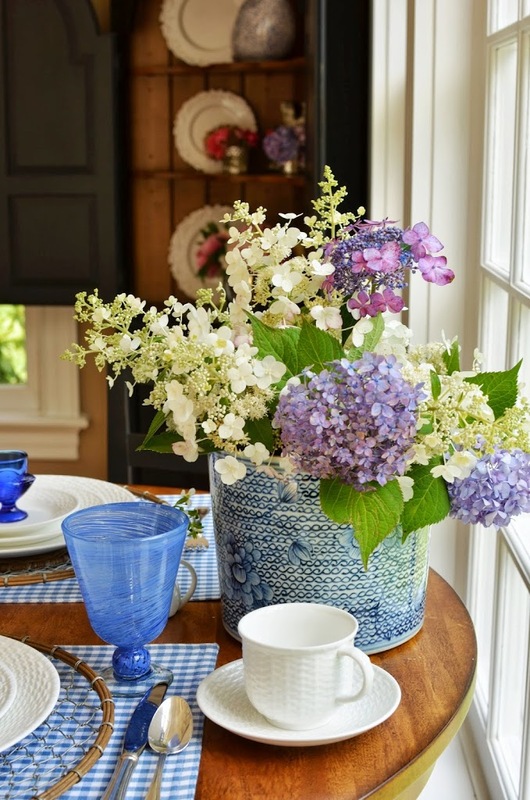 We do share many things in common: love of hydrangeas, white dishes ( yours and mine are similar), gardening and tablescaping. I read a tip recently about wine growers gritting their teeth in the presence of bees and something about it sends them off. I don’t trust my memory exactly but I think I read it on French Word a Day blog. Do you read interesting things and think you are going to remember where and all about it and then realize you don’t? I am envious of your great light in your kitchen. My trim in my kitchen and den area is taupe and I have a wooded lot and covered porch that does not let in much light. 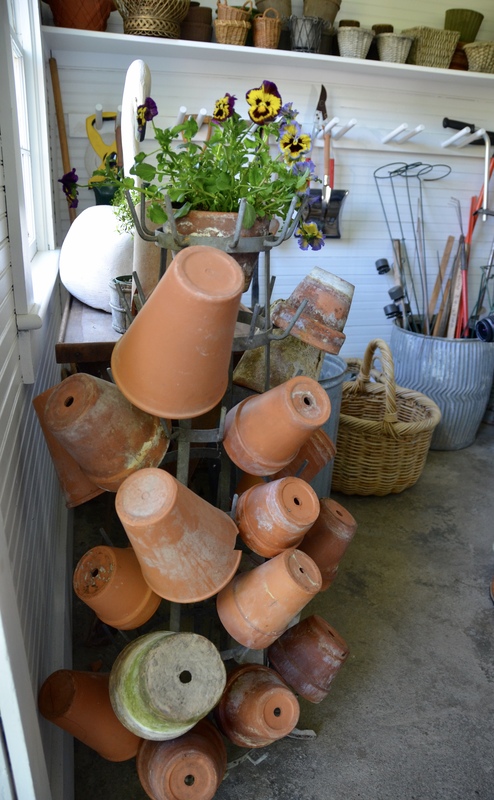 One of these days I am going to take the plunge and paint everything WHITE!!!! Hi Linda! Oh, my goodness! Your table is so beautiful. I love your pretty blues. Those little blue bird egg cups are so sweet. I’ve never seen chargers like yours – so lovely. You’ve really set a gorgeous table. I was worried about you! So glad you took the challenge and in such a beautiful way. I love your dishes, and your new crock is gorgeous! 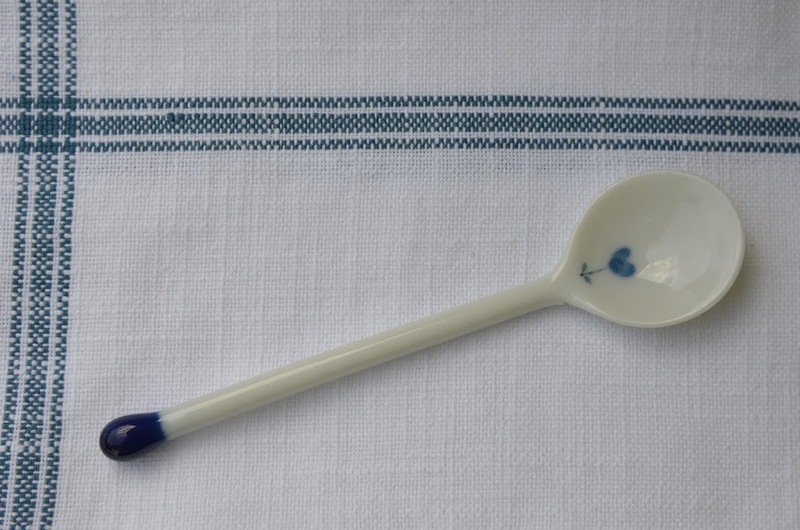 I love your blue & white…your table is lovely! I especially love your little cow. 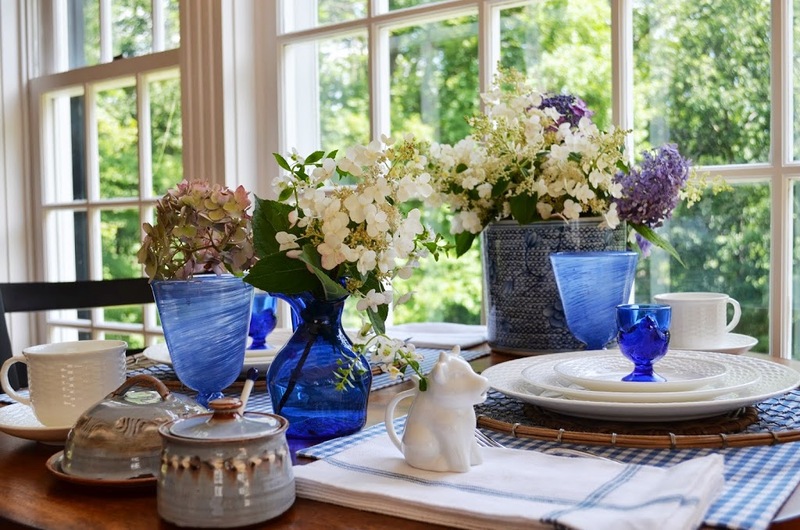 Linda, your table scape is beautiful – love blue and white. I am your newest follower. What a truly lovely table – everything looks so sweet! Pretty table with pretty things.Everything looks lovely along with those lovely blooms..Love the greenery outside the window….Sujatha..:):). Classic color combination for Let There Be White Challenge. . .
and yours is done to perfection, dear one!!! 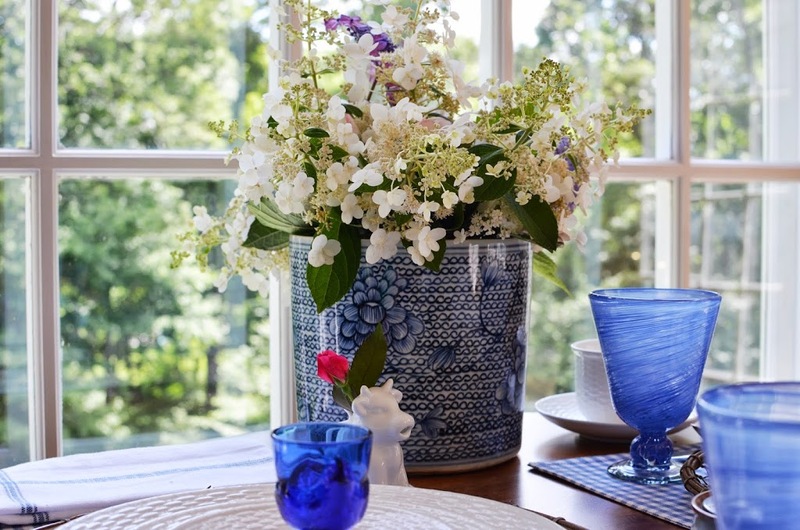 Your pops of cobalt blue are stunning! I adore the pottery with its subtle hints of blue! Can’t help but mention that lovely scene from the windows. . .simply gorgeous!!! Thanks for you kind visit and sweet comment!!! 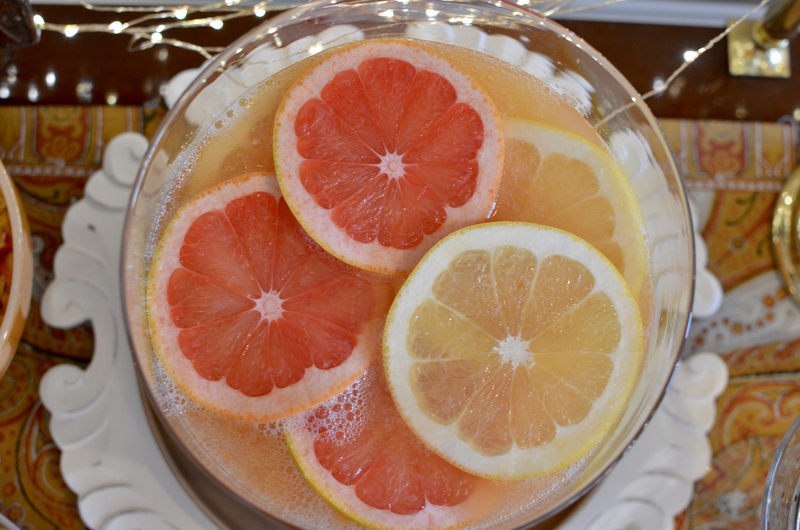 Thank you for sharing and linking up for Fresh-Cut Friday! Linda: I love your table! As always, there’s a softness, a casualness to the look that you put together that is so inviting! My tables tend to look a bit too formal. I’m working on it. 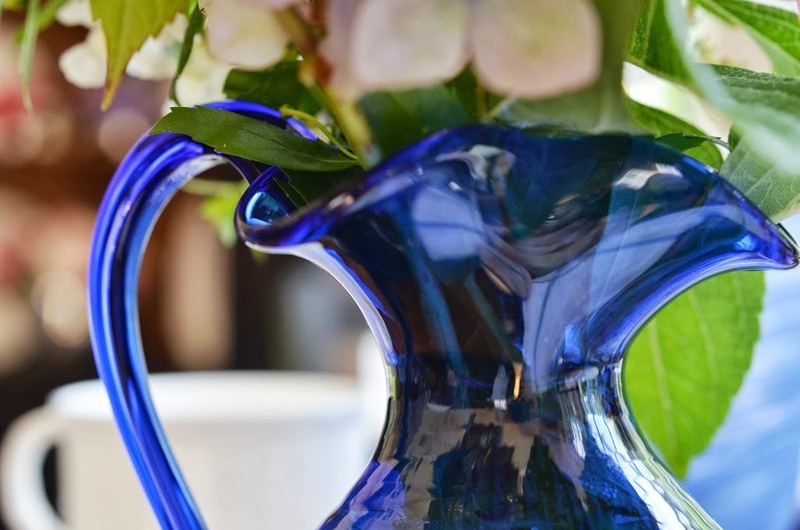 The cobalt-blue pitcher from Monticello is divine! I want it! I discovered the Monticello website a while back and I’m in love with the Jefferson flatware! I’m also in love with your dishes and I’m so sorry that they’ve been discontinued. 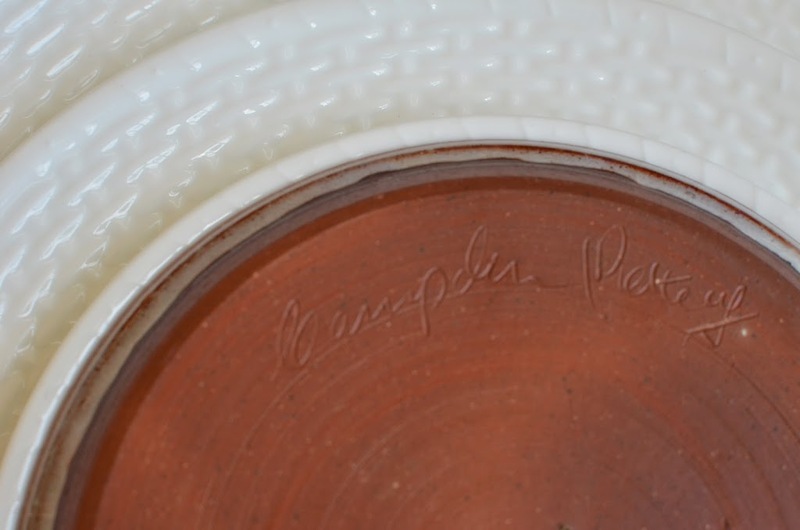 Please tell me that you own the soup tureen. I have never seen a more beautiful tureen! Love the little honey spoon! So charming! I hope you continue enjoying your summer, but be careful of those bees! Blue and white together are stunning. You did a terrific job! Have a good Blue Monday, Linda. My all time favorite dish color combination, blue and white. It always brings a smile to my face. And it always feels fresh. Very pretty table! Happy blue Monday! Oh I love that wee butter and cheese dish and sweet little spoon! Love that shade of blue. You did a great job on your table setting. I love your gorgeous table Linda! What a great combo/blue and white my fave always and forever. I went to Monticello as a child, but it’s still vivid in my mind. Now of course, I would love to go back. I still love the bag I won and use it often..thank-you! I love your beautiful table. And, your flowers are lovely. 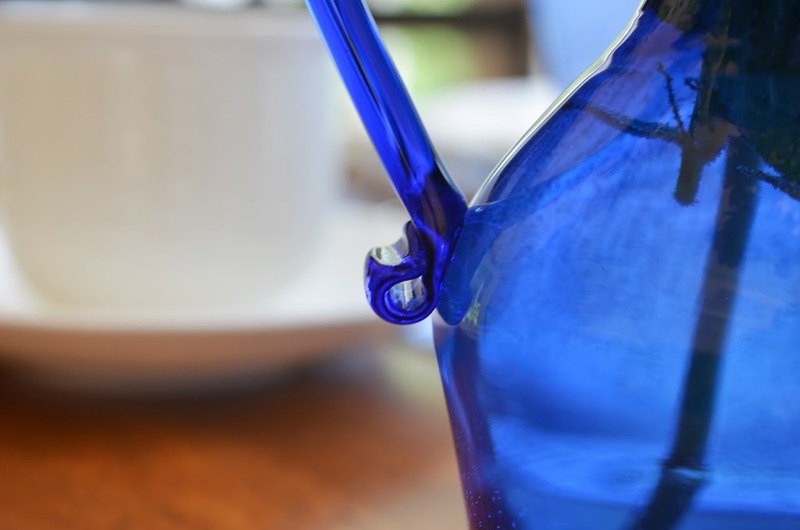 Your table is set so elegantly, I too love cobalt blue glass. 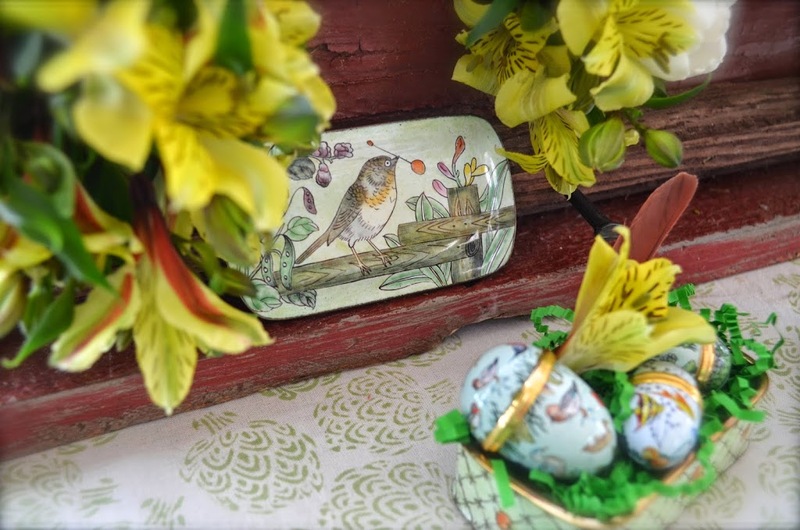 Your bird egg cups are so adorable! Fantastic pieces together. Love this setting, it is so welcoming and makes you want to sit down for a good cup of tea! Wonderful!! I’m not sure how I missed this back in July- but glad I caught it on The Blue and White Bash! Very Pretty! Wonderful mix of fabulous pieces. Love those check placemats!